I love wine. I mean, who doesn’t? And living in Toronto I actually live pretty close (about a two hour drive) from Ontario’s wine country, Niagara. 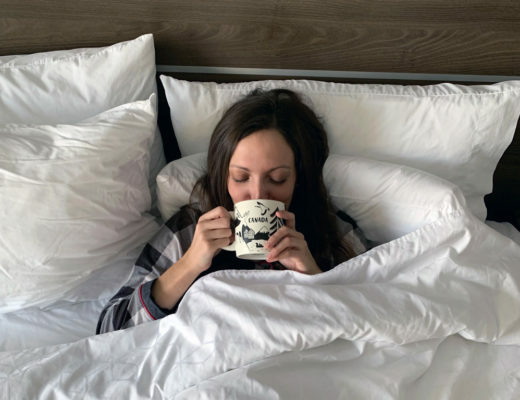 What was stopping me from visiting this region was basically my lack of a car to get me there but recently I recruited a girl friend to head up to Niagara-on-the-Lake with me for a girls weekend away. 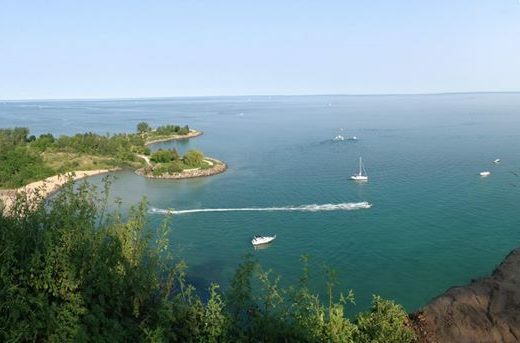 Niagara-on-the-Lake is located on the shores of Lake Ontario and at the mouth of the Niagara River. 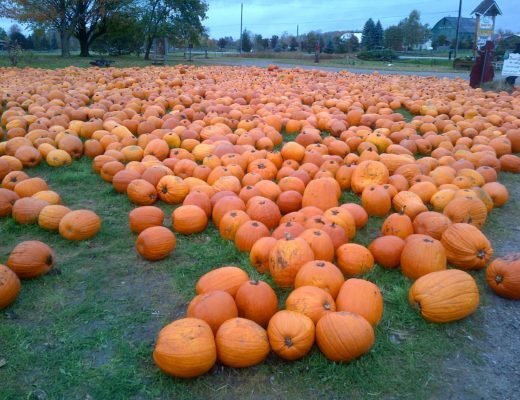 It’s located extremely close to the Canada/United States border and is known for its wineries. 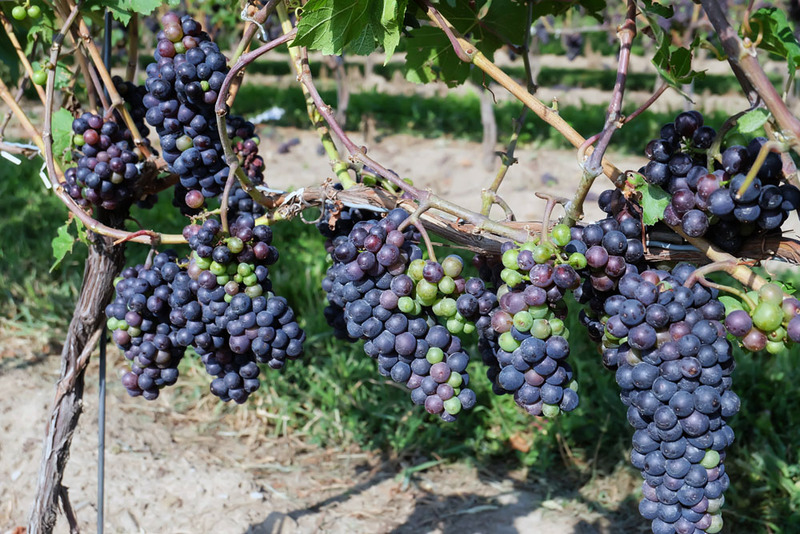 In fact, as of 2014 there were 88 wineries in the area which only has a population of just under 18,000. 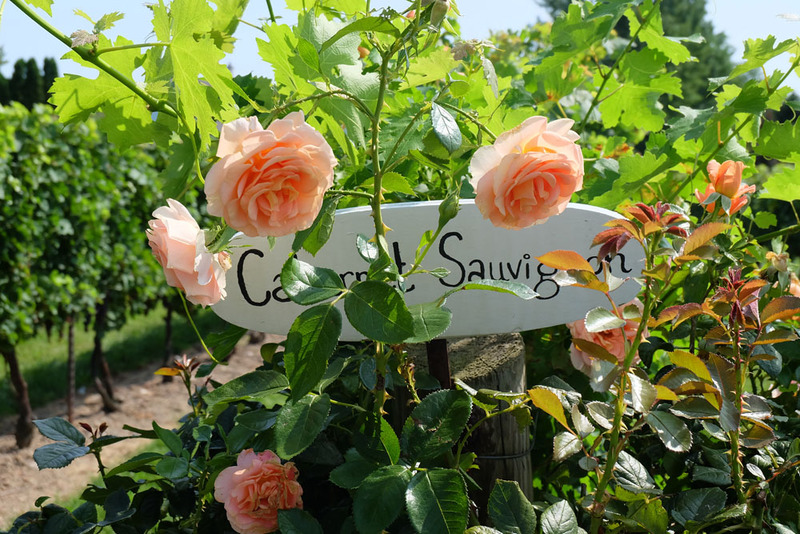 When I knew I’d be heading to wine country, I had to find a way to get some winery tours in so Grape Escape Wine Tours seemed like the perfect option. 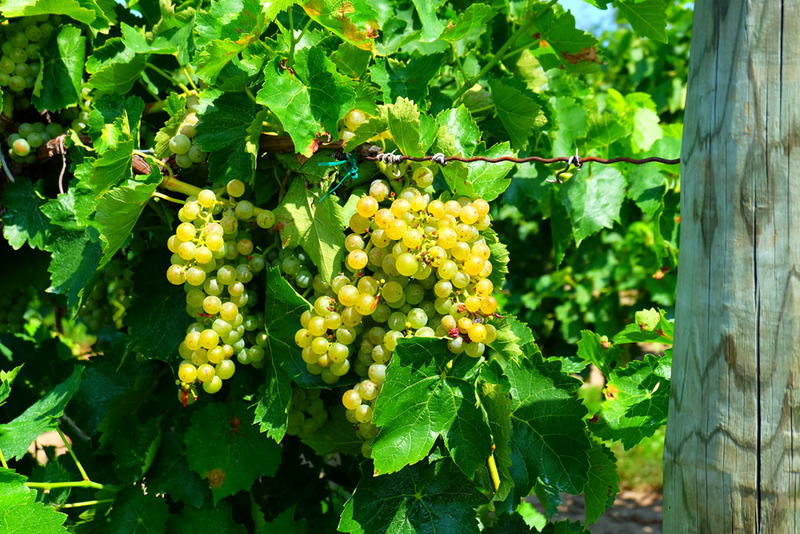 Grape Escape’s started around ten years ago and they run small group tours on bikes and in vehicles to the local wineries. They offer several different types of tours from ones that include lunch, to bicycle tours. 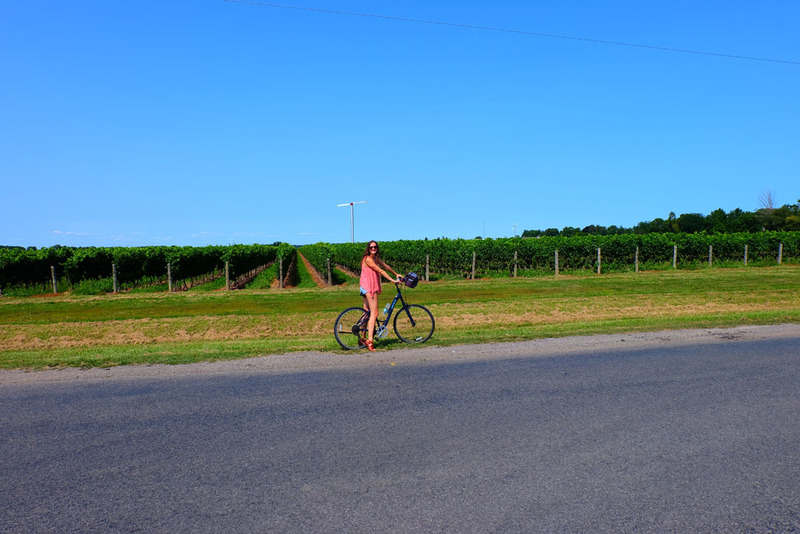 Since I thought I might as well soak up the beautiful summer weather while I can, I selected an afternoon bike tour for around $65 CDN which included stops at four wineries, your bike rental and a cheese pairing at one of the wineries. 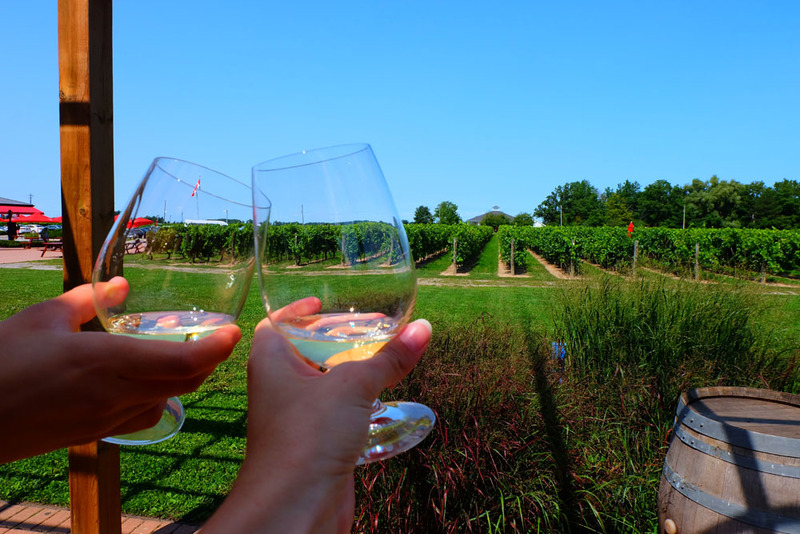 Our tour started with Grape Escape’s shuttle service picking us up at our bed and breakfast which can be arranged free of charge in Niagara-on-the-Lake and for an additional cost from Niagara Falls. The shuttle brought us to the Grape Escape’s office where we were fitted for our bikes and we met the rest of our group (our group was around ten people). Not to long later, we were heading out on our adventure which would be about 15km total of biking but an easy, flat ride. First stop was Inniskillin, one of the larger wineries which sells their wines internationally and specializes in icewine (which the area is famous for). Inniskillin is one of the big boys in wine in Ontario and you can find their wines in most liquor stores. That means the winery was much larger and fancier than the family-owned wineries. When we arrived, we had a tour of the facility and learned about the wine making process and then we headed for our tasting where we tried a couple icewines and table wines. After our first stop, we moved onto Reif Estate Winery which originally started in Germany until 1977 when the founder bought a plot of land in Niagara. At this winery we had our cheese pairing with three different wines. It was interesting to see the difference in taste when the wines were paired with cheeses like blue cheese, gouda and cheddar. I really enjoyed the cabernet merlot here and bought a bottle to take home. What’s great about Grape Escapes is they will arrange for your bottles to be driven back to the starting/ending point throughout your tour so you don’t have to worry about lugging them around on your bike! 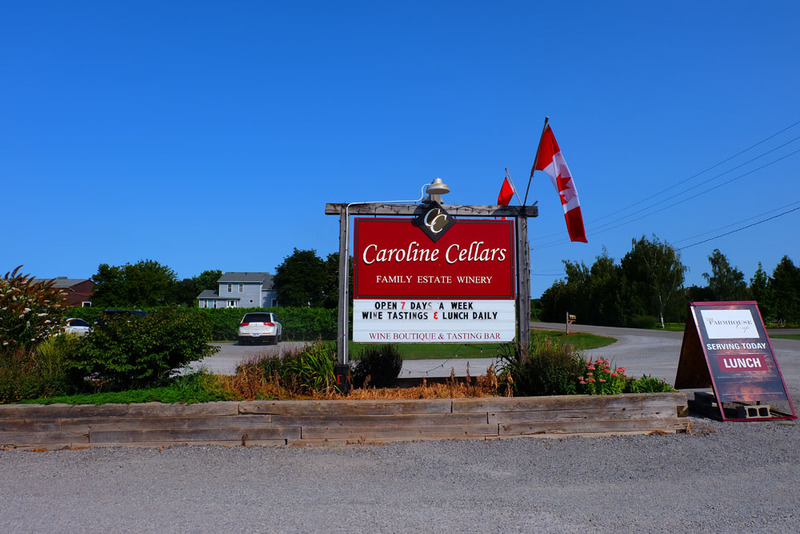 Next stop was Caroline Cellars which started in 1978 when the vineyard was purchased and after 20 years of caring for this land the founders vision came to reality when they opened Caroline Cellars in 2002. This winery had a wholesome, farmhouse vibe and you can feel the magic of this family-run winery. 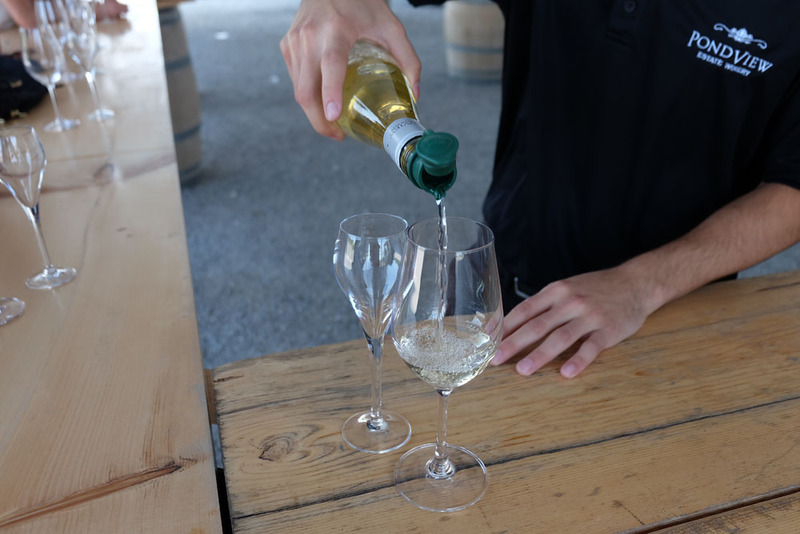 This winery also boasted a LONG list of wines and they will guide you through a tasting of sparkling wines, table wines, icewines and even fruity wines like blueberry, plum or cranberry. Finally we made our way a short drive down the road to Pond View Winery, another family-run winery. This small winery was incredibly cute with luscious vines surrounding the property. We had our tasting outside where they allowed us to try a white and red wine and an icewine. After our tasting, we headed back towards the Grape Escape’s head office to conclude our tour. Disclaimer: I received a complimentary tour to conduct a review. 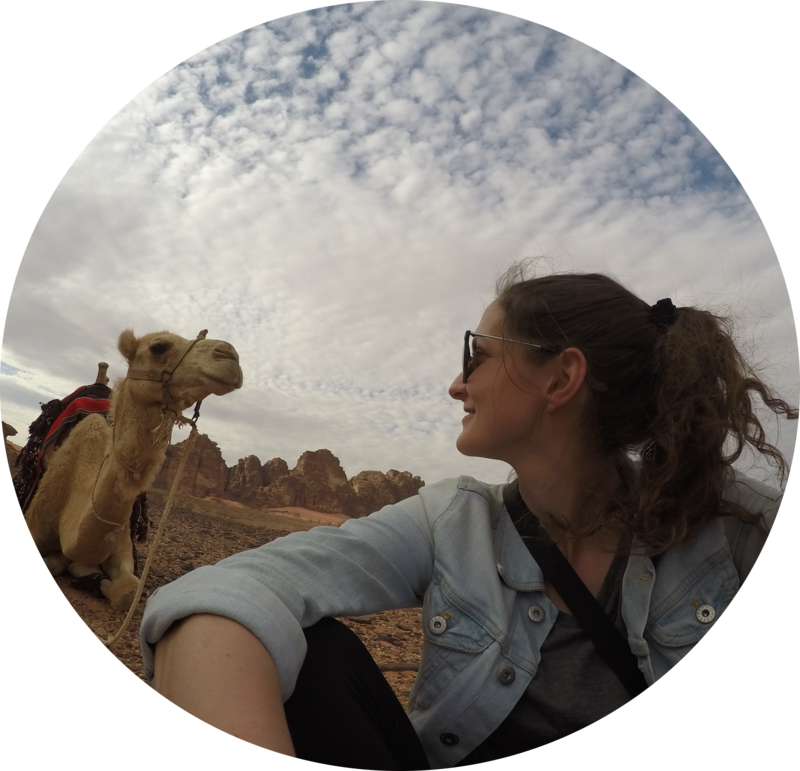 I only recommend experiences that I enjoyed, and think other travelers would benefit from. All opinions in this piece are my own and 110% honest.